Gordon Ramsay has found yet another restaurateur to lay into — and this time it’s his former business partner. The “Hell’s Kitchen” hothead has files a lawsuit seeking more than $2.5 million from Danny Lavy and Lavy’s business 9226-7558 Quebec Inc., claiming that Lavy and the company breached their contract with Ramsay and made several false and defamatory comments about him in relation to a Canadian restaurant that they were involved in. 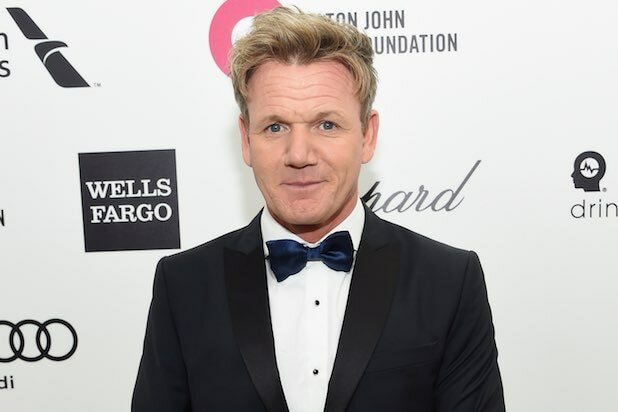 According to the suit, filed in Quebec Superior Court, Ramsay and the defendants entered into a licensing agreement in July 2011, with Ramsay agreeing to license his name and likeness to the restaurant Laurier Gordon Ramsay. However, in February, the agreement was terminated. Ramsay claims that, not only did the defendants terminate the agreement without proper cause, but they smeared his name in the press following the termination, which has Ramsay boiling-mad. Ramsay’s suit claims that Lavy and 9226 killed the agreement because they felt he hadn’t provided significant promotional assistance or assistance with the restaurant and staff. However, according to Ramsay, the agreement called only for the use of his name and likeness, and he bore no responsibility for the operation and management of the restaurant. In fact, according to Ramsay, the defendants specifically asserted that it was their right, not his, to manage the restaurant. Furthermore, according to Ramsay, he participated in a promotional blitz for the restaurant’s opening, and that he “provided advice and assistance above and beyond the scope of the agreement.” This included, according to Ramsay, arranging for chef Andi van Willigan “to provide on-site assistance at the restaurant in the weeks running up to its opening” at no charge to the defendants. Ramsay is seeking numerous damages, including licensing fees both from the period of their agreement and fees that would have been due had the agreement not been terminated, plus moral damages, punitive damages, costs of promoting the restaurant, and legal costs. Ramsay has seen his share of legal action lately; earlier this month, he sued publicist and former News of the World editor Phil Hall, claiming that Hall had sold private information about Ramsay obtained from hacked emails to British newspaper The Daily Mail.